A Short Drive to Happy Your Hours. Salt Lick Cellars is next door to the Salt Lick Restaurant in Driftwood, TX. Local wine and beer are available for purchase at Salt Lick Cellars. In 2006, the Roberts family planned to dig their roots a little deeper into the family land as a continuation and natural progression of the Salt Lick family tradition. 35 acres of different grape varieties were planted including Tempranillo, Mourvédre, Syrah and Granache. 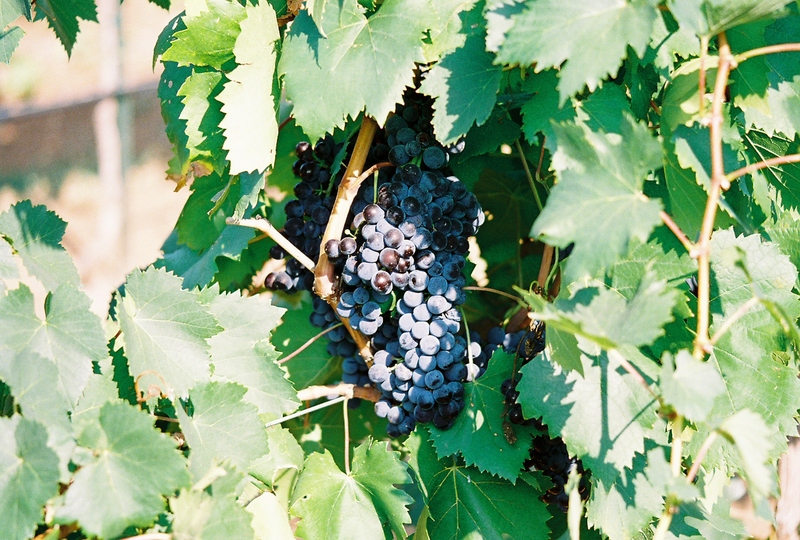 The first bottle of Tempranillo was bottled and available to wine enthusiasts in late 2008. 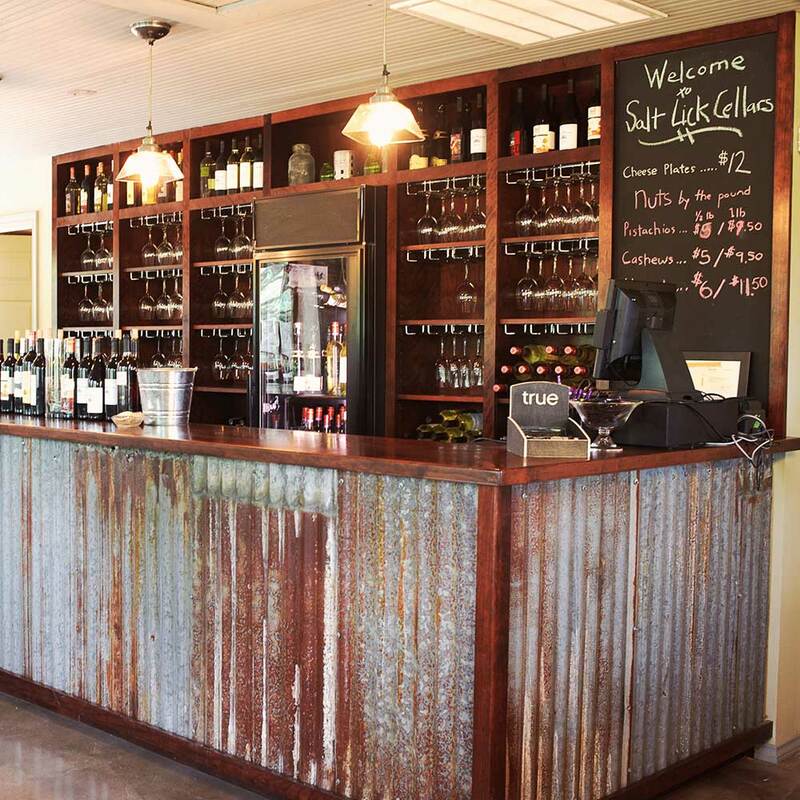 To accommodate Hill Country adventurers in search of fine wine outside of the city limits, Salt Lick Cellars was created and a tasting room built in 2009. 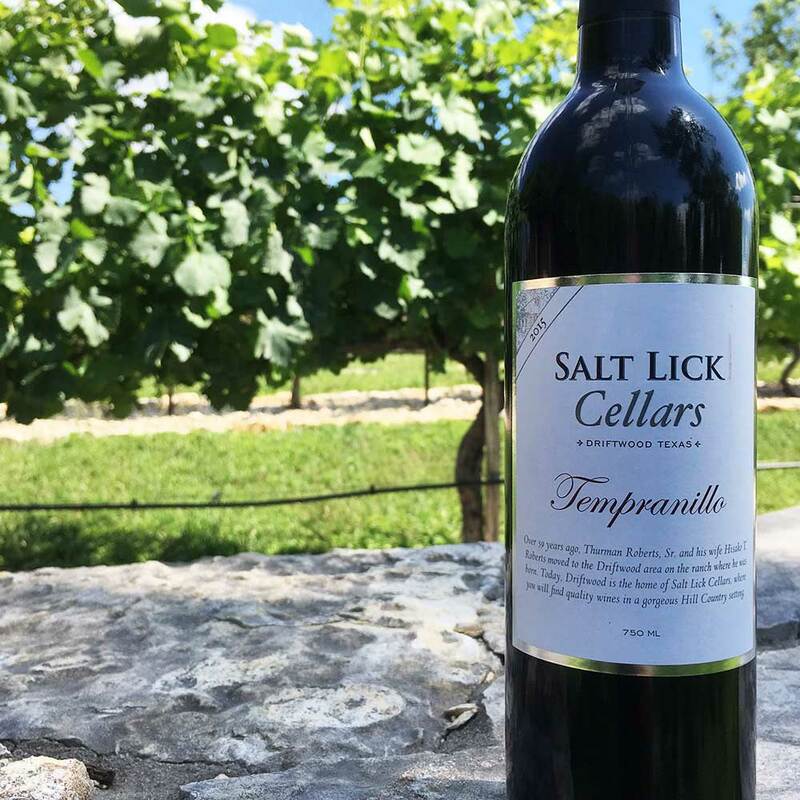 Today, Salt Lick Cellars offers many fine wines available for tasting and purchase including Tempranillo, Sangiovese, Farm to Market blends, Mourvédre, Syrah, Sparkling White and the house BBQ RED and BBQ WHITE wines. Enjoy a Glass (or two). 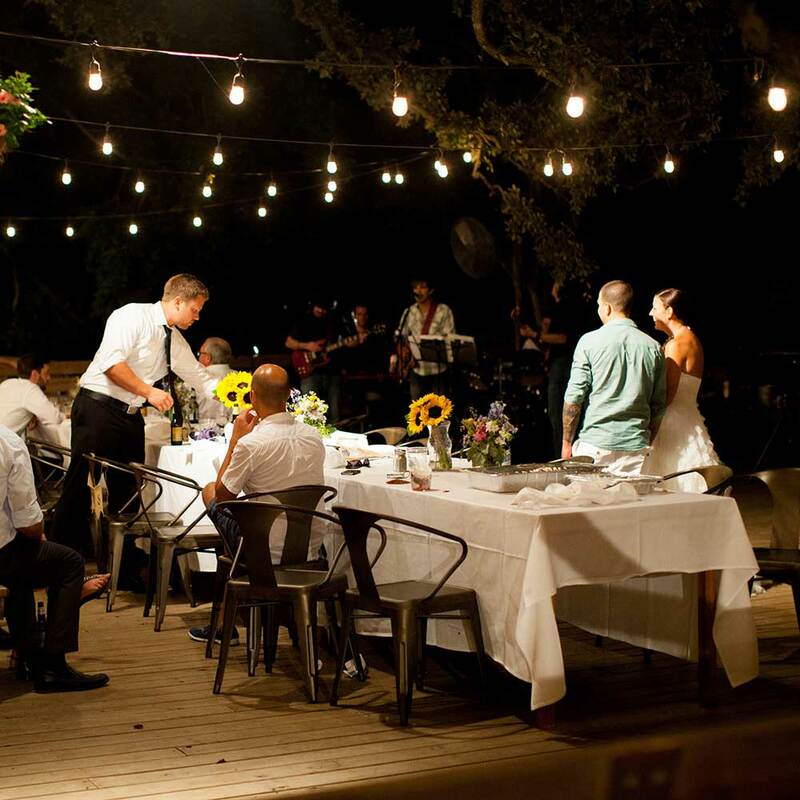 Situated under a majestic Live Oak tree, the Cellars combines the splendor of nature with its lush landscaping and gardens and a relaxed, authentically Texan environment. Enjoy a glass (or two) of our Tempranillo or Mourvedre while surrounded by the same vines that produced the wine! 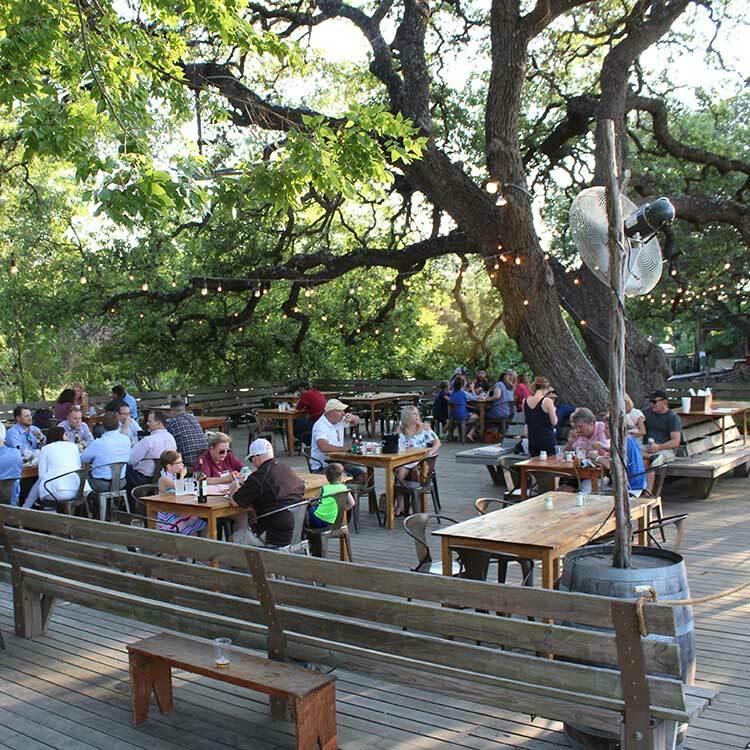 Right next door to the Salt Lick restaurant in Driftwood, the Salt Lick Cellars tasting room includes a shaded wrap-around patio and shaded seating under ancient Live Oak trees. 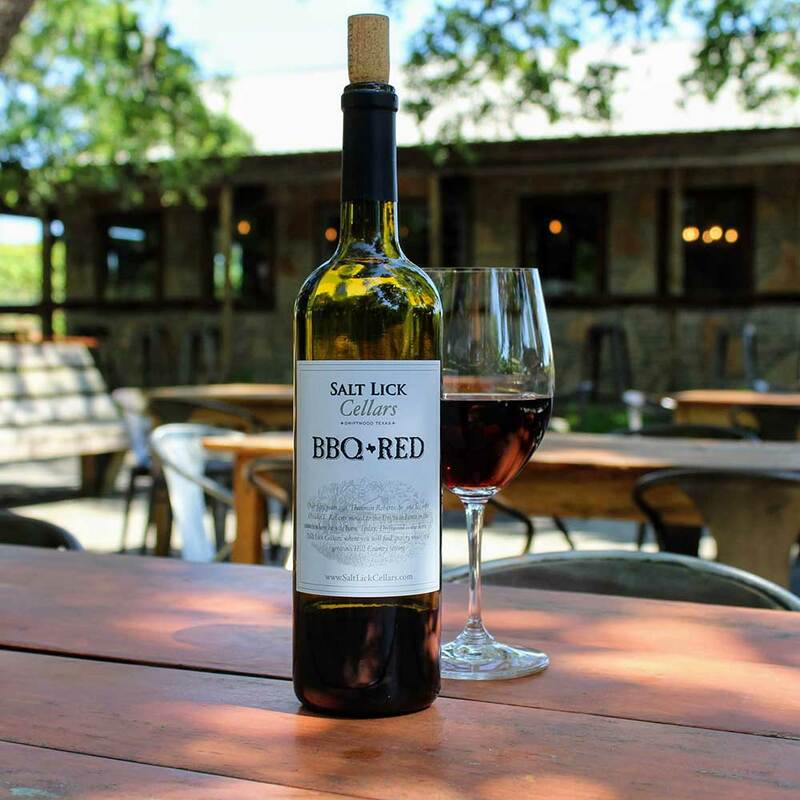 Enjoy our hand picked selection of wines including Salt Lick Cellars’ own line of reds and whites plus many other Texas-grown and bottled favorites. Yes, we have local craft beer as well! Thursdays on our patio from 5:30 – 8:30 PM A menu of wood-fired pies and appetizers Plenty of Texas wine and beer available for purchase (no BYOB). RE-OPENS SPRING 2019. 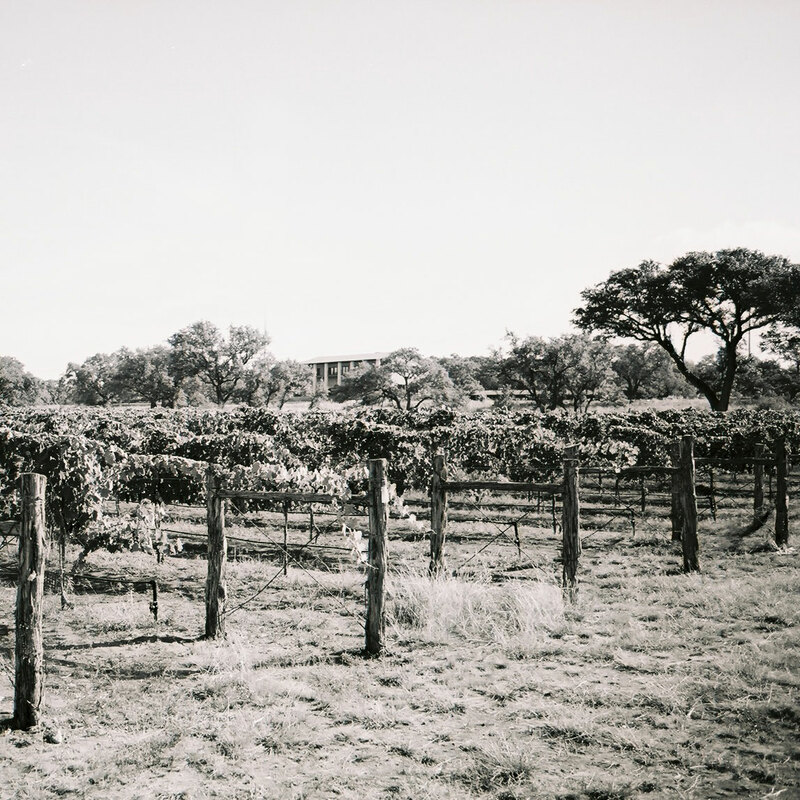 As a family run business with deep respect and love for the Texas Hill Country, we enjoy giving back to our community. Salt Lick Cellars provides support to the Hill Country Conservancy, The Longhorn Foundation, and Friends of the Children – Austin. We give preference to charities that support land conservation and youth in Travis and Hays counties. As a general rule, we do not make charitable donations of any kind to fundraisers or individuals.